Hollywoodnews.com: The book sold millions of copies, spent more than 100 weeks on the New York Times’ best seller’s list, and stirred up its fair share of controversy. The movie opens in theaters on Wednesday and is generating its fair share of Oscar heat thanks to outstanding performances by a dream ensemble and some sensitive direction by Tate Taylor. We are talking, of course, of “The Help,” an adaptation of Kathryn Stockett’s novel of the same name that stars Emma Stone, Viola Davis, Bryce Dallas Howard, Octavia Spencer and Jessica Chastain in a story about the divide between the races in the South during the turbulent 1960s. Stone plays Skeeter, a fledgling journalist who writes a book from the perspective of the African-American women who helped raise White children in Mississippi. HollywoodNews.com: Whether it’s true or not, Ms. Davis, I would just love for you to tell me that I am smart, that I am kind, and that I am important. Viola Davis: [Laughs] Oh, absolutely. You are smart, and you are kind. And you are wearing a very nice jacket. HollywoodNews.com: Well, I’ll take that, thank you very much. [Laughs] I need to be honest when I say that the film made me feel a little bit uncomfortable as I realized just how close this era of our nation’s history is to present day. I think in the back of our minds, we tend to say that this significant divide between the races happened oh so long ago, when that really isn’t the case. Tate Taylor: Yes, but it’s still our history. I think Emma Stone actually said it, where in a lot of education systems in our country, this information is not taught. Emma said she basically knew about Rosa Parks, Martin Luther King Jr., but had no idea about stories like this. So it wasn’t our intent to make anyone feel uncomfortable, but I think it’s great that later generations can now know about this. HollywoodNews.com: Absolutely. And any sort of uncomfortableness, for me, broke in this fantastic uplifting scene where Viola, your character smiles as she recalls the first child she ever helped raise. It might be the first time we see your character smile in the film, and it was like helium filling the room and lifting our spirits. Was that scene as transcendent to film? Davis: Well, I think that the best thing Tate did was that he didn’t make “The Help” a Civil Rights movie. He made it a movie about these relationships. And I think that it the helium that you are talking about. These relationships were born in the midst of all of this strife, of all this hatred. If Tate had made it a Civil Rights movie, I don’t think that you would see the richness of these interactions because we would have played the social message rather than the complexities of what people do when they have to come together to make something work. Which is this book. HollywoodNews.com: Speaking of the book, because it’s so beloved, do you even need to do research outside of what Kathryn wrote? 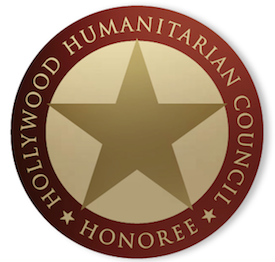 HollywoodNews.com: And as an actor on a movie, that freedom to prepare is pretty rare, right? Davis: Never. You never have that time. Usually, as an actor, you get a script and you have a day, a week, maybe two weeks to prepare. You have to just jump right in. But on “The Help,” we had almost three-and-a-half weeks of rehearsal. Taylor: It actually used to be the standard in filmmaking. Now it’s considered a luxury, which makes no sense. Because you have these women having these really tough scenes with one another, and it means a lot that when I yell “Cut!” they can truly be friends, hang out and still play with one another. HollywoodNews.com: I have to ask about the book’s fan base. 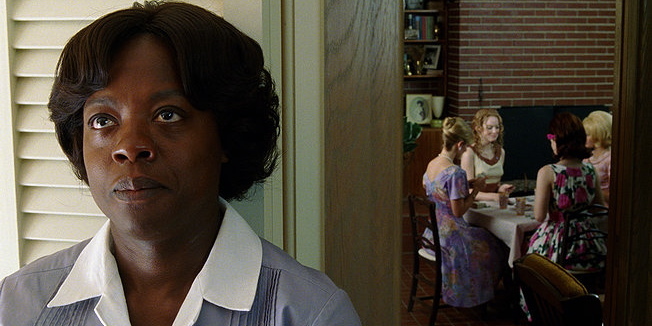 So many readers tackled “The Help” as part of a book club, and they’re going to turn out in droves to support, and possibly nitpick, the film. Are you prepared for that scrutiny? Tate Taylor’s “The Help,” an adaptation of the best-selling novel by Kathryn Stockett, opens in theaters on Aug. 12.